Cerebral allergies/immune reactions can create brain inflammation, and such symptoms as irritability, fear, depression, aggression, even psychosis. In fact, Dr William Philpott found neurological reactions to food in over 90% of schizophrenics. 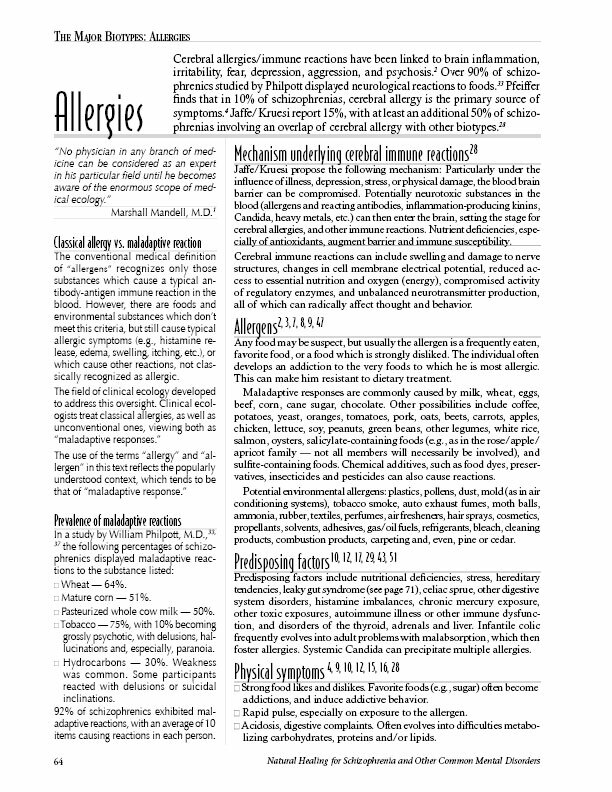 Mechanisms, predisposing factors, potential allergens.